Why is it a Great Gift ? 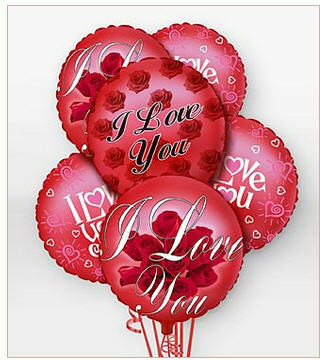 : Surprise your loved one by sending wonderful I Love You balloons. Makes a great gift - delivered by one our local partners in the recipient's delivery area. Important Delivery Information: Love You Balloons is a hand delivered gift. These gifts are delivered by one of our local design centers located throughout the United States. If the recipient is unavailable, these may be left in a safe place such as with the apartment manager's office if they accept deliveries. Delivery is available for most areas in United States - you will be notified within 1 business day, if we are unable to fulfill your gift order. Extreme weather may limit or delay deliveries. Typically, standard deliveries are made between 9:00 AM and 6:00 PM, with business deliveries before 5:00 PM. Hours may be extended during holidays. We regret, we cannot accept requests for deliveries at specific times of the day. Orders placed cannot be cancelled. Incorrect address will incurr additional charges for delivery fulfillment.